Nothing compares to the impact custom draperies can make in a room. 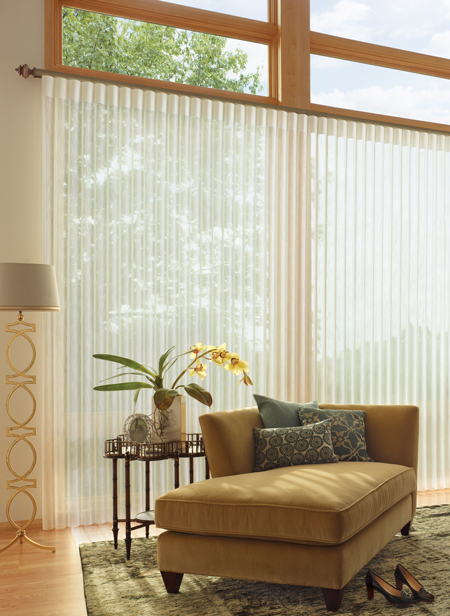 The addition of fabric, even in simple side panels, instantly adds warmth and a polished feel to a room. Draperies can act as a frame to your view and also grounds the window in a room, especially if you have high ceilings. With 20 years experience in custom drapery design and a top quality drapery workroom, MPJ Designs can create the custom statement to finish your room. We also offer a great selection of rods and finials, wood and metal in the most current and on trend finishes. Custom drapery is all about the details, even simple can be spectacular, when the colours, textures and style have been expertly layered together.